Australia’s original craft show back and better than ever. 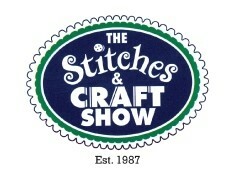 The original Stitches & Craft Show has returned once again to Brisbane for 2013. There will be something for everyone, from paper craft, home décor, and patterns to DIY ideas, whether you have crafted all your life or only just discovered it, The Stitches & Craft Show has you covered. The Stitches & Craft Show will inspire and inform you with a range of ‘make and take’ classes, free crafty how-to seminars and the ‘A is for all skill levels’ beginner-based activities. A special guest at this year’s show, not to be missed, is acclaimed craft artist Skye Rogers. Skye will show you not only how to re-use all of your unwanted junk mail, but how to make something truly beautiful out of it… necklaces, trivets, stamp artworks. If you’re a fan of quilting, be sure to check out the display by Lisa Walton featuring quilts from her soon to be released book ‘Beautiful Building Clock Quilts’ and the 50 - 60 quilts unveiled for the first time from the annual Queensland Quilters Challenge. What’s in it for young people? Have you ever had a problem with finding the perfect gift, jewellery, home décor item that doesn’t cost an arm and a leg? Why not make it yourself! The Stitches & Craft Show is perfect for young people looking to create a unique piece of their own at an affordable price, no previous experience necessary. Also be sure not to miss the TEXSTYLE exhibition, showcasing student’s major textiles works from the 2012 Higher School Certificate (NSW schools). The Stitches & Craft Show is truly an attraction for anyone who is interested in, or curious about; beading, stamping, quilting, knitting, painting, textile art, cake decorating and many more exciting crafty things. Experience tools, materials and inspiration to motivate you to create anything you set your mind to! A wide range of kits and patterns, boutique and unique products will be for sale the show – all under one roof. Visit www.craftevents.com.au for more information.